Italian Consul in Malindi has died. Marco Vancini died this morning in a road crash at Msabaha area long Mombasa-Malindi highway. Vancini died on the spot when his car collided head on with a lorry. Kilifi County Police Commander Mr Joseph Nthenge confirmed the accident. Vancini died on the spot when his car collided head on with a lorry. Kilifi County Police Commander Mr Joseph Nthenge confirmed the incident. Mr Nthenge said the deceased was heading to Mombasa when his Suzuki saloon car collided with the lorry. ‘The consulate was driving towards mombasa when he collided with an oncoming lorry that was heading to Malindi’, he noted. The County police Boss said the consulate was driving alone and died on the spot. The driver of the lorry and his turn boy escaped unhurt. “We have launched investigations to establish the cause of the accident as he had moved from his lane towards the other lane before colliding with the lorry”, Mr Nthege noted. Police and members of public had a rough time trying to remove his body from the wreck of his car. The body was later taken to the Star hospital mortuary. Police later towed the car to the Malindi police station. 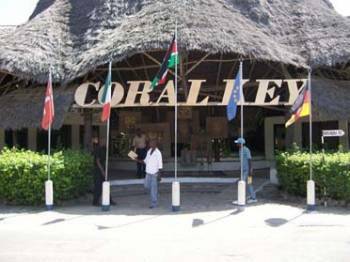 The deceased owned five hotels in Malindi. The hotels are Coralkey, Blue key, kivulini, Victoria beach resort and Tsavo buffalo camp. He also owned St peter hospital in Malindi. Mr Vancini was married with one kid. He was appointed as the consulate less than three years ago and took over from former consulate Mr Roberto Macri. Africa ExPress Bujumbura, 30 marzo 2019.